Leading academic ‘conference ambassadors’ have joined a growing campaign to halt swingeing budget cuts that would leave Edinburgh as the ‘only major city in the developed world without a Convention Bureau’. More than 75 of Edinburgh’s most respected academics and researchers have united in their condemnation of the proposed 2019/20 budget cuts, which will decimate the conference bidding arm of Marketing Edinburgh, as drafted by the City of Edinburgh Council last month. Speaking in support of Convention Edinburgh, the business tourism arm of Marketing Edinburgh, academic leaders from medical sciences, paediatrics, ecology and data sciences have voiced their concern that the cuts would not only damage the city’s future as a superior conference and meeting destination, but also the ‘world-leading academic ecosystem’ Edinburgh is renowned for. Under a proposal set to go before city councillors in 10 days’ time, destination marketing organisation (DMO) would be reduced to a virtual shell as the council bids to save £41m from its overall budget in the next financial year. Seventy-five members of the ‘Edinburgh Ambassador’ Programme, managed by Convention Edinburgh, have now voiced their concerns through letters to councillors or by submitting their views through the City of Edinburgh Council consultation hub. Between them, they represent some of Edinburgh’s most respected business, scientific and academic institutions, including all four of the city’s universities, Roslin Innovation Centre and Edinburgh Royal Infirmary. 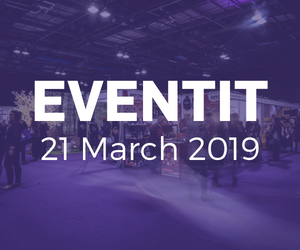 They have all worked or are currently working closely with Convention Edinburgh to bring prestigious and valuable conferences to the city, which have a lasting legacy for the Scottish Capital. From research collaboration to driving forward innovation, hosting conferences in Edinburgh benefits the city in the long term through economic and social progress. Specifically, Marketing Edinburgh is facing 89% budget cuts over the next two years, a reduction of £790,000, leaving the future of the organisation and the Edinburgh Ambassador Programme in jeopardy. This is a group of more than 540 academics and industry leaders who Convention Edinburgh supports to bring conferences to Edinburgh. Since 1998, Edinburgh Ambassadors have secured 1,348 conferences with 528,605 delegates to Edinburgh which resulted in an economic impact of £900M for the city. 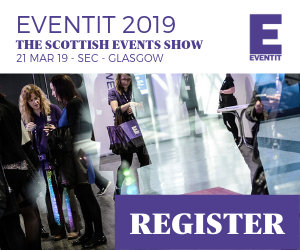 Amanda Ferguson, Head of Business Tourism, Convention Edinburgh, said: “Conferences foster knowledge exchange, innovation and networking, attracting world-leading specialists as delegates and speakers. As host city, this is a unique opportunity to showcase their research and Edinburgh’s strength in that field. This results in collaborative research, investment and ultimately jobs.